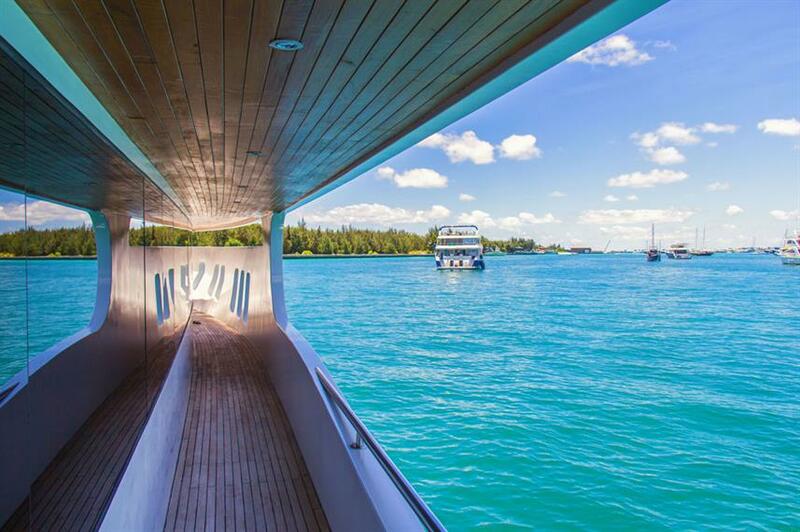 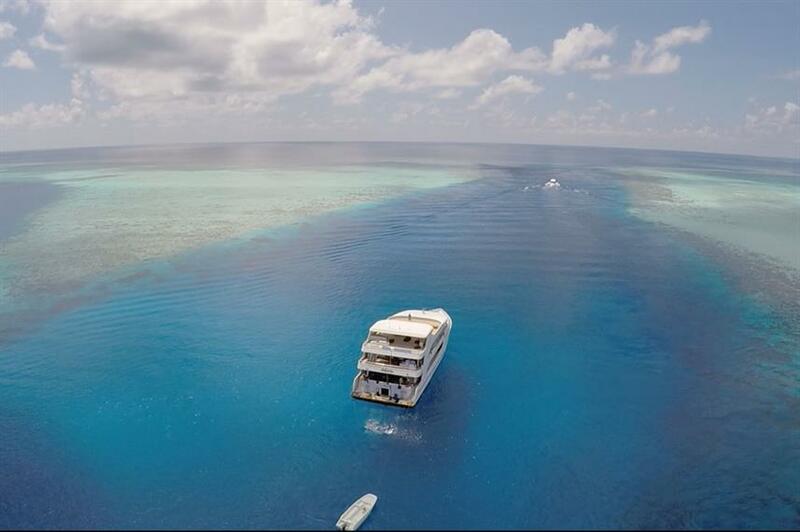 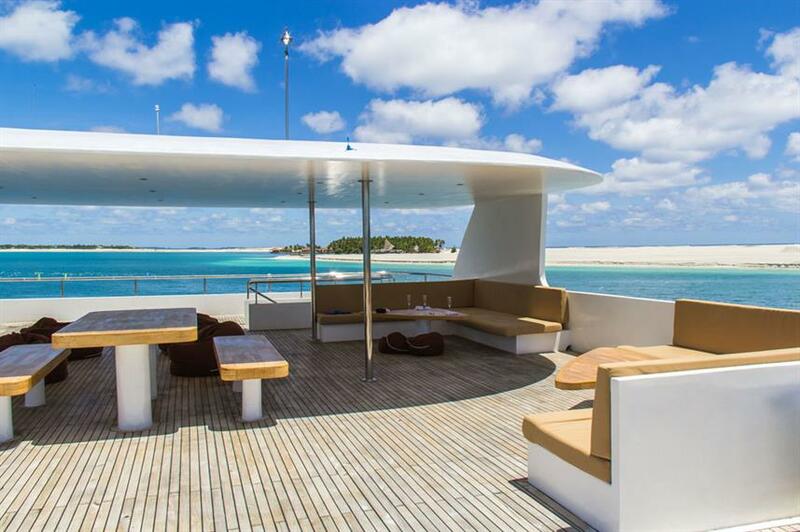 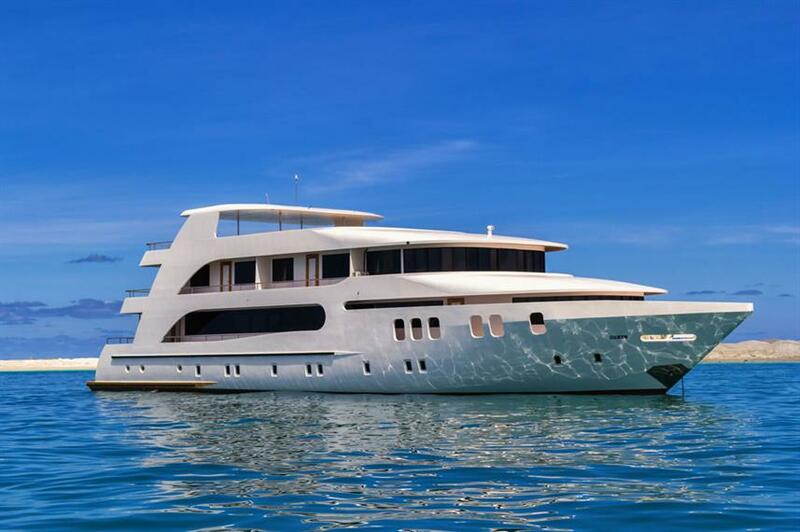 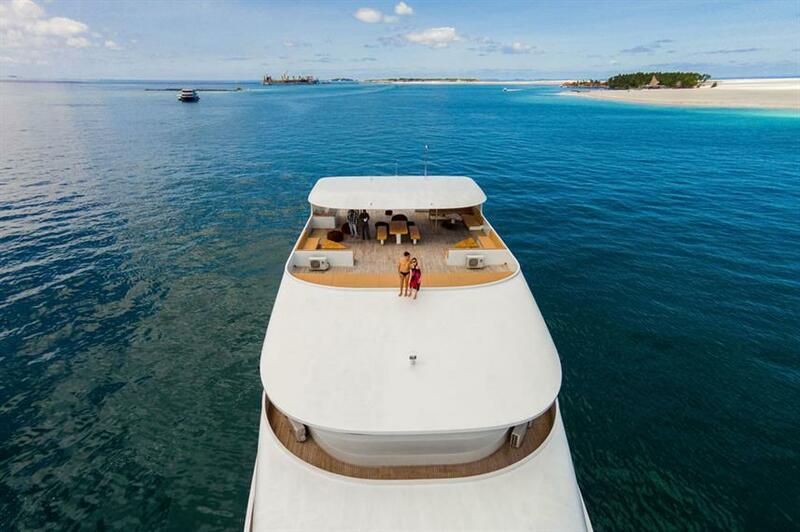 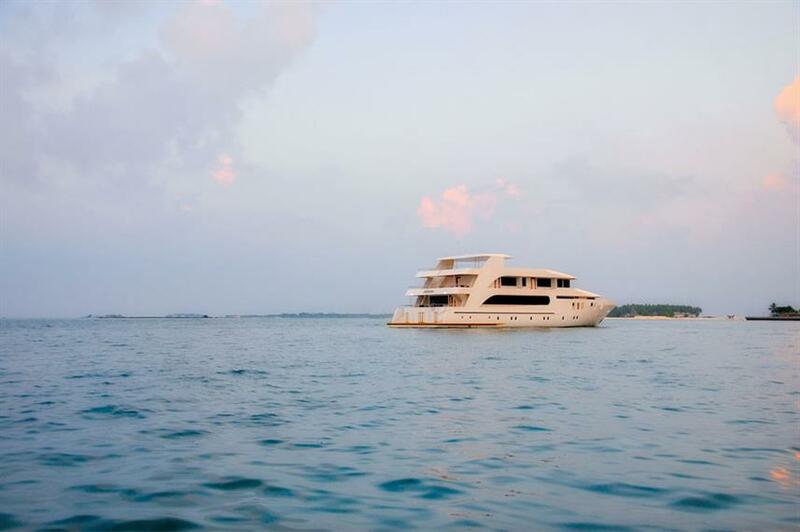 The 37m beautiful MV Adora Maldives Liveaboard was custom built in 2014 to offer divers fantastic diving trips in the Maldives. 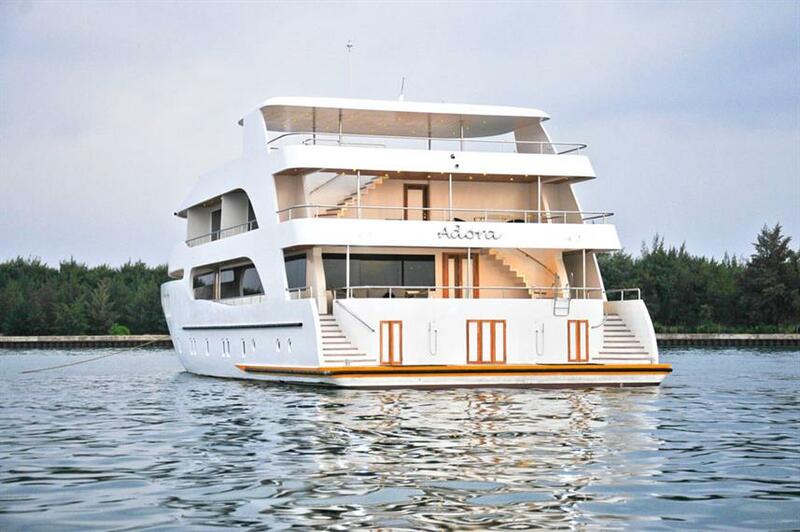 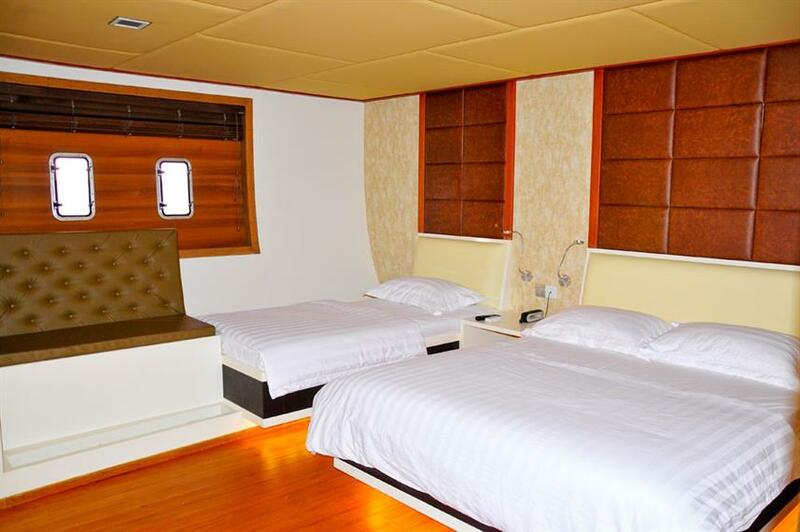 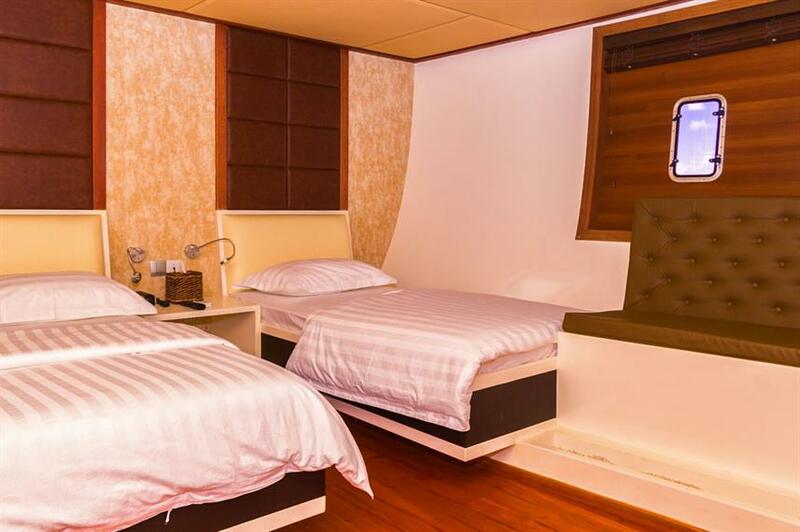 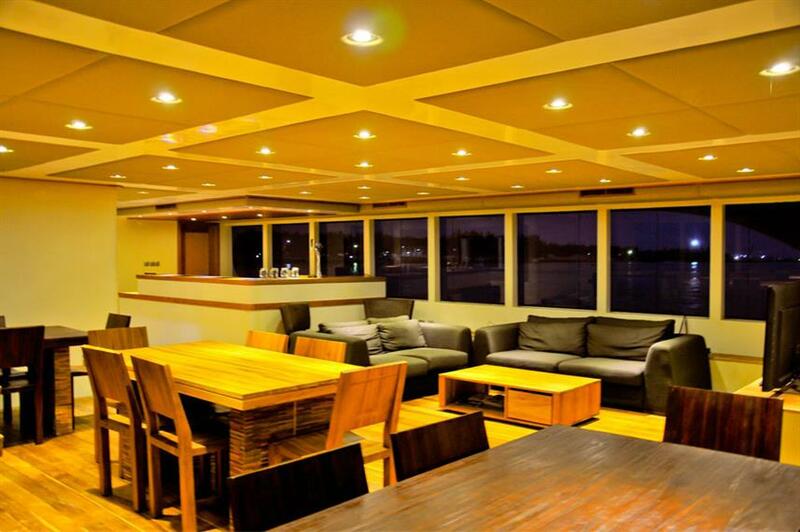 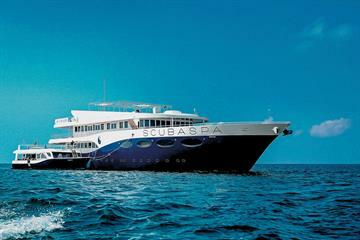 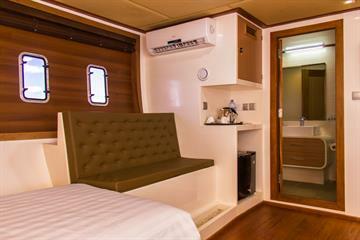 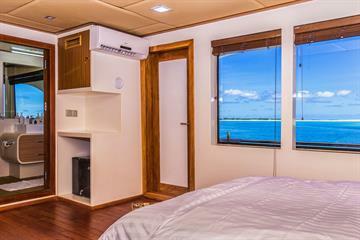 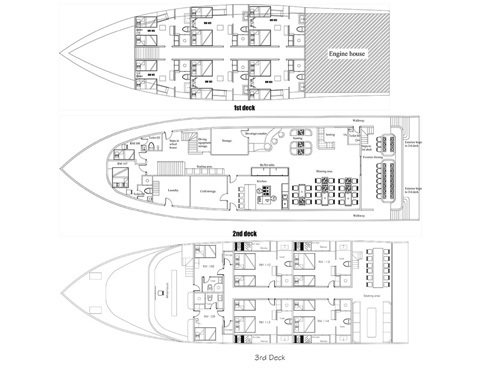 The M/V Adora Liveaboard has 11 cabins and can accommodate up to 21 guests. 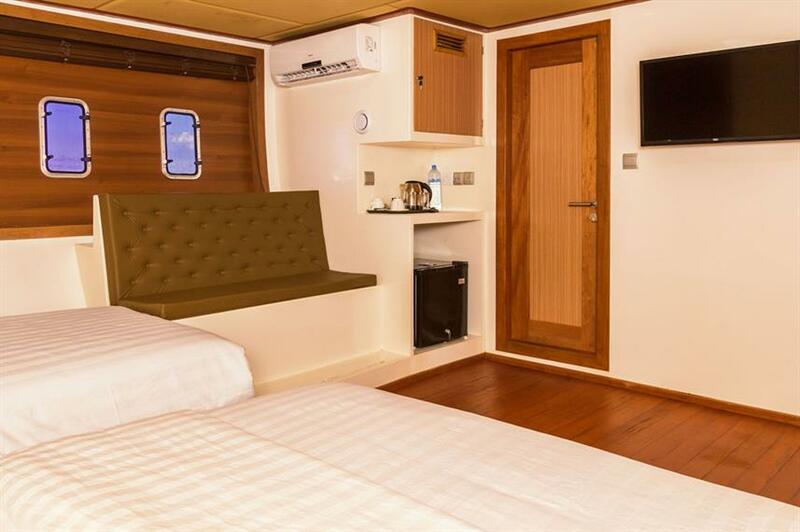 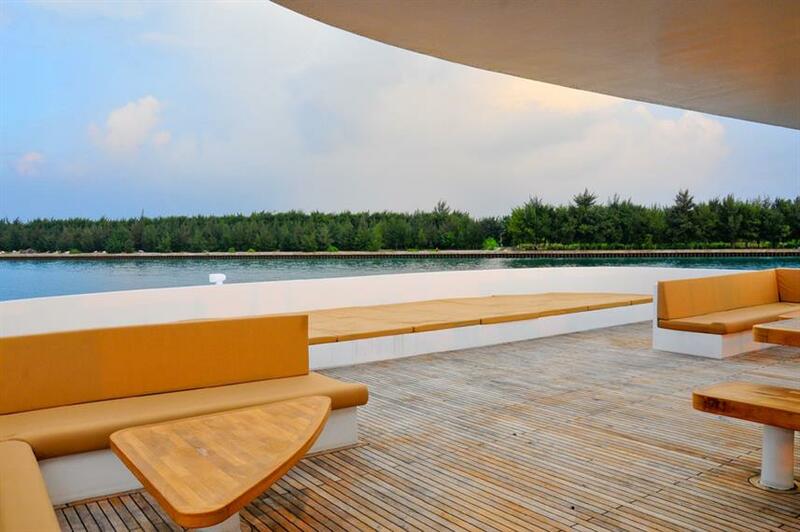 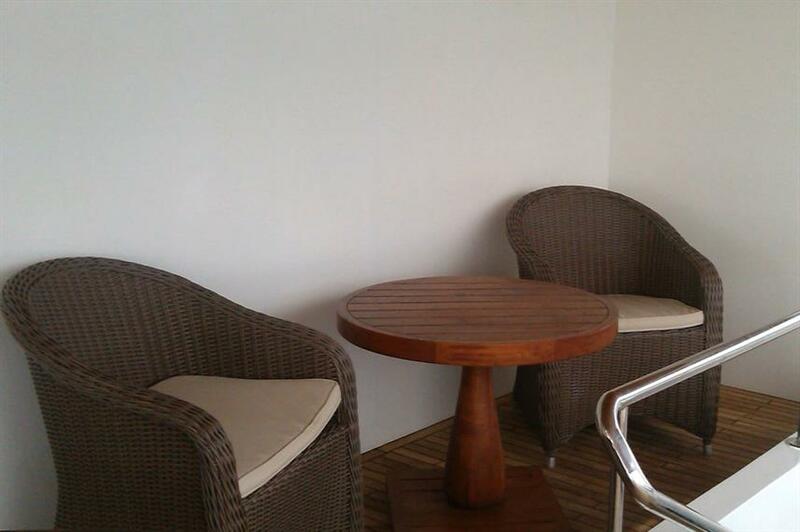 Each cabin has an en-suite bathroom and individually controlled air-conditioning. 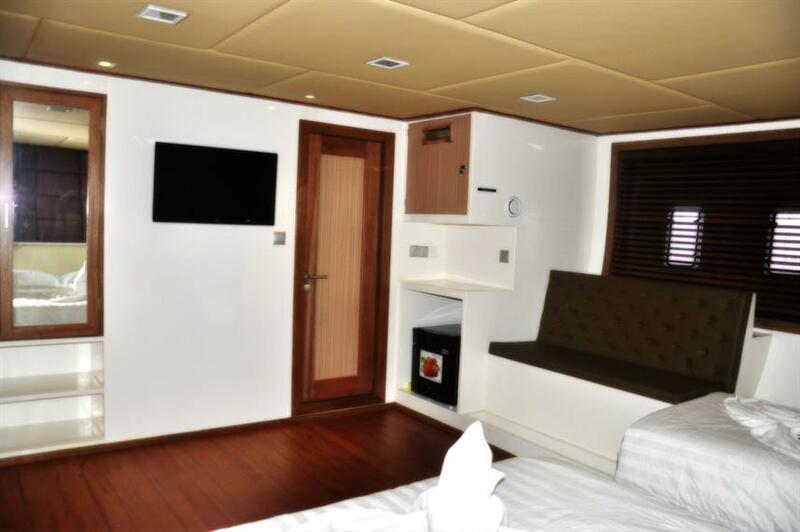 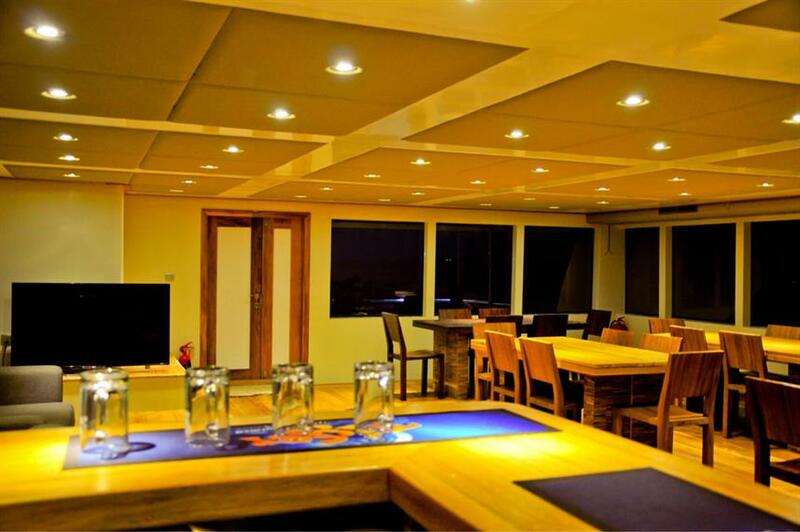 The stylishly designed MV Adora Liveaboard offers a spacious air-conditioned indoor salon and bar area with entertainment system and a beautiful sundeck with cushioned sunbeds to relax in between dives or enjoy the panoramic views. 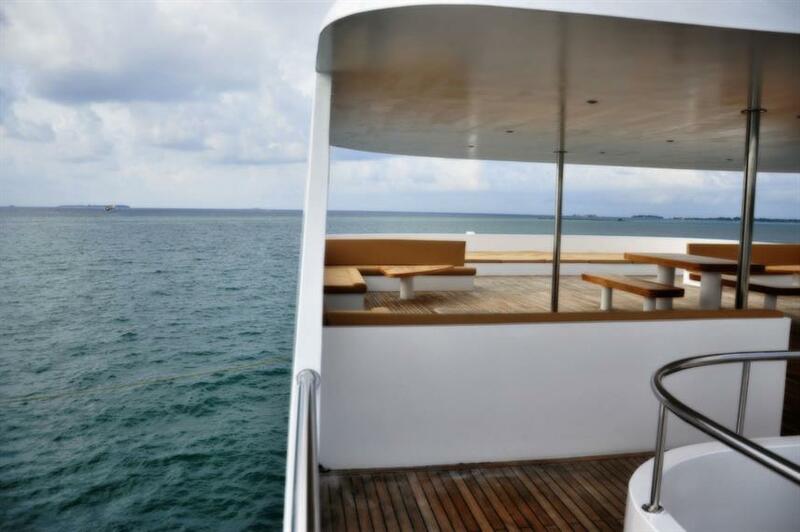 The local cuisine aboard the M/V Adora with tastes from the Maldives, India and Sri Lanka along with International dishes will keep your palate satiated throughout your stay. 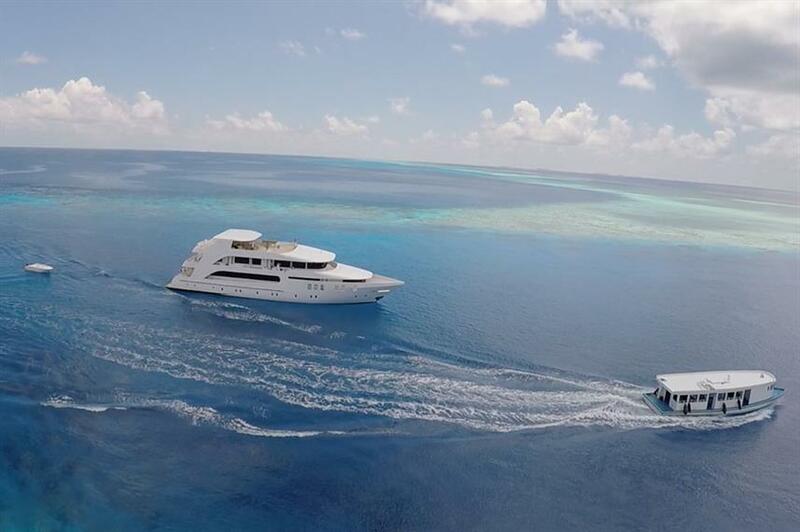 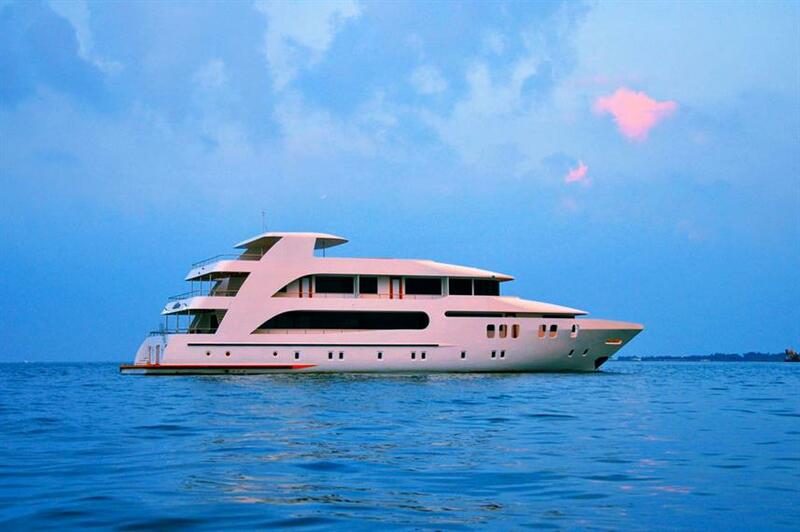 Don’t miss out on this fantastic Maldives Diving liveaboard and book your dive trip today. 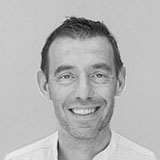 Included: VAT, Environment Tax, Airport Transfer, Drinking Water, Tea & Coffee, Welcome Cocktails, Full-Board Meal Plan (All meals), Snacks, Diving Package, Fishing, Beach Towels, Cabin Towels, Complimentary Toiletries, Deck Towels, WiFi internet. 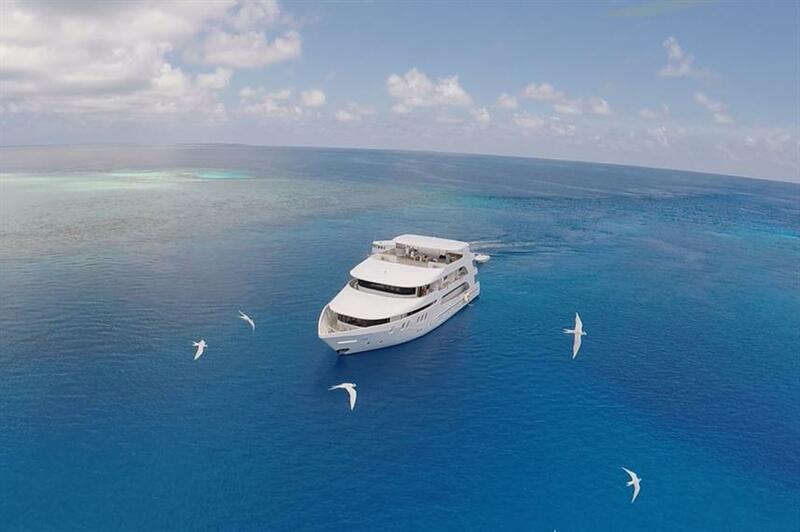 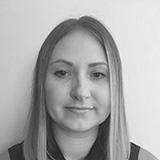 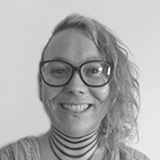 Optional Extras: Gratuities, Hotel Transfer, Alcoholic Beverages, Soft drinks, Extra Dives, Nitrox, Nitrox Course, Private Dive Guide, Rental Gear, Scuba Diving Courses, Snorkel Gear. 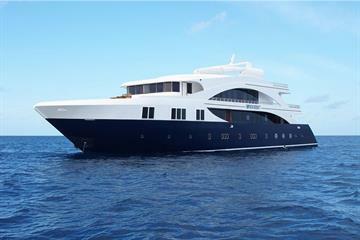 Beautiful boat, nice crew and superb diving! 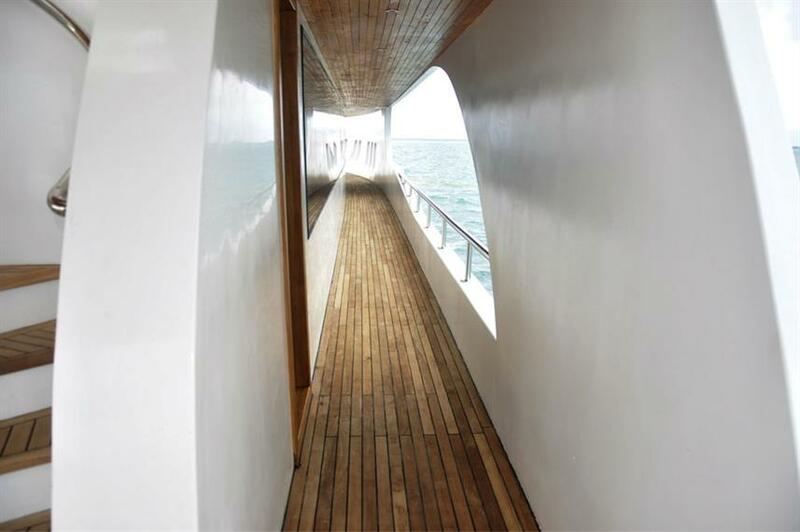 This was my first liveaboard so I´m hardly an expert....but I really enjoyed the boat and the experience! 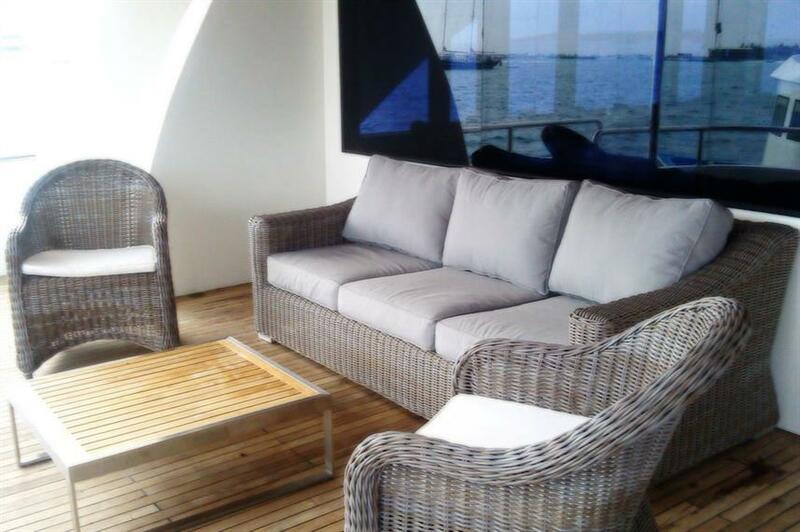 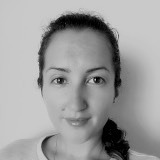 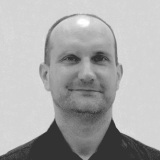 It was August so the weather wasn´t all that great! 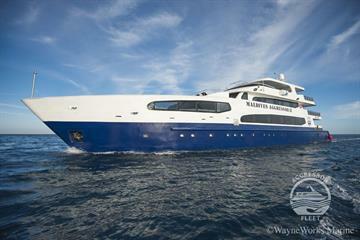 Still the diving was remarkable and we saw Mantas and a big number of sharks. 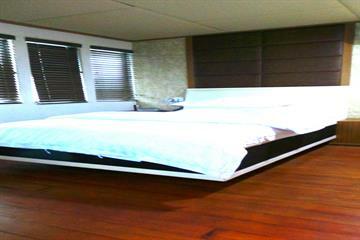 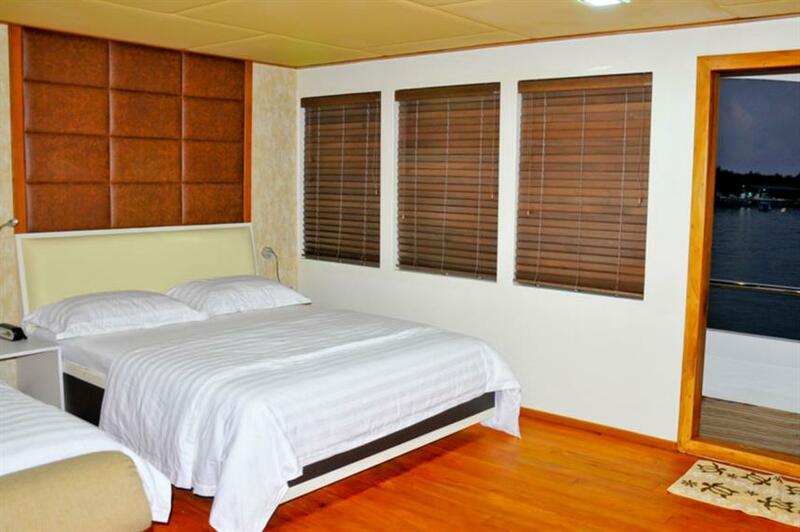 The single bed room is nice. 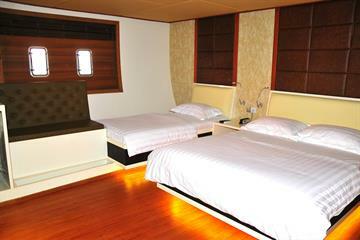 But nobody had to share a room beacuse the boat wasn´t fully booked. 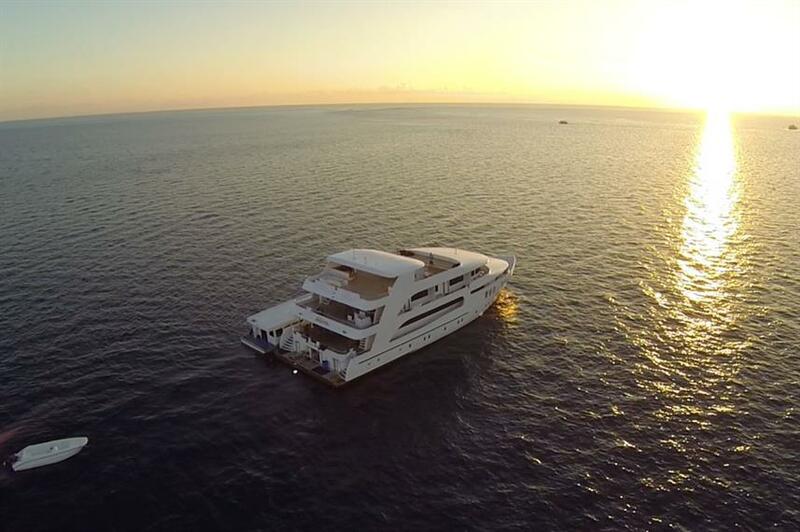 Night dive with uncountable number of sharks was really awesome.